Out for a 2-night backpacking trip up past Hetch Hetchy Reservoir in Yosemite National Park. After a full week of exploring the park we took a lazy day at camp. 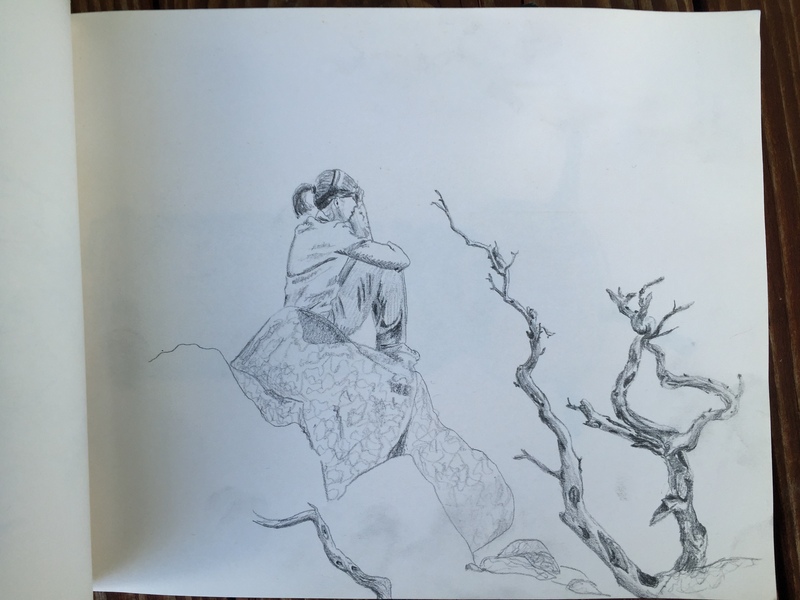 While there I sketched Ashley as she enjoyed the view out over the valley, and a few of the awesome, gnarly branches of the shrubs surrounding the rock she was seated on.